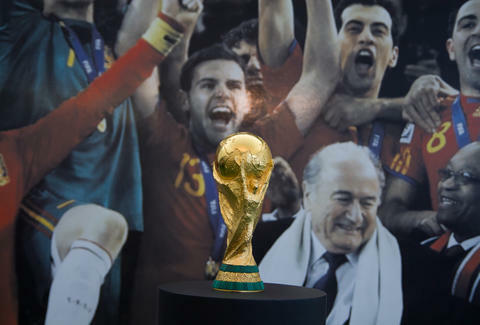 Quiz: Which World Cup team should you actually root for? The 2014 World Cup kicks off June 12, and the whole world is buzzing. Thing is, the United States stands pretty much no chance of winning. Its brutal draw in the group stage includes Germany, which has won three World Cups; Portugal, which claims the reigning player of the year, Cristiano Ronaldo; and little old Ghana, which, in case you missed it, has never lost to the US in international competition. Rather than simply letting your "USA! USA! USA!" chants die an early death, you might as well hop on a bandwagon, buy a shirt to support your adopted nation, and have a skin in the game past the first week. Here's the quiz that'll help you figure out who to root for when the Cup kicks off tomorrow. It's science.